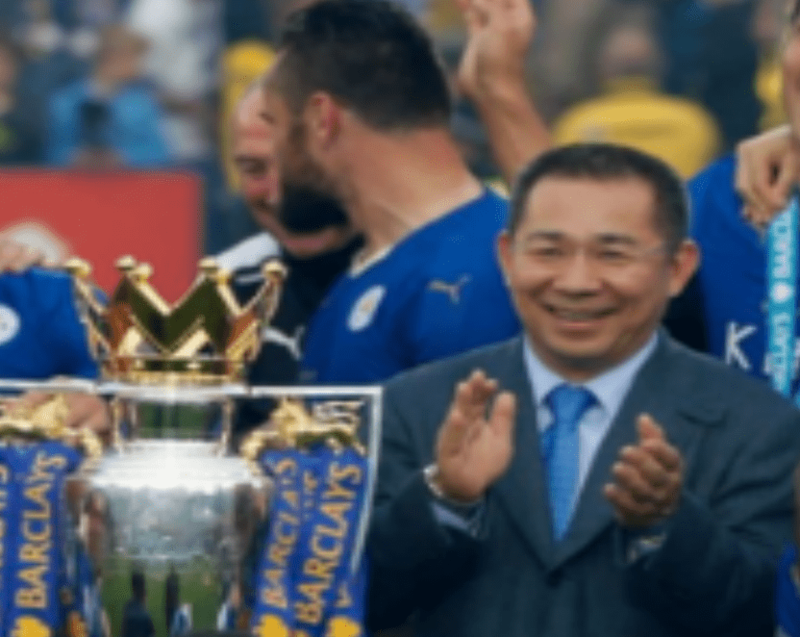 Vichai Srivaddhanaprabha died when his aircraft came down in a car park soon after taking off from inside the club’s stadium. 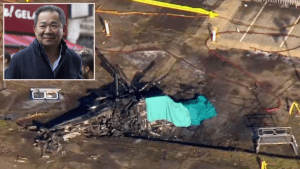 The owner of Leicester City was among five people killed when his helicopter crashed outside the football club’s stadium, it has been confirmed. Thai billionaire Vichai Srivaddhanaprabha died when the aircraft fell from the sky after taking off from inside the ground following a 1-1 draw against West Ham. Police said the other four victims were believed to be two of Mr Srivaddhanaprabha’s staff Nursara Suknamai and Kaveporn Punpare, pilot Eric Swaffer and Mr Swaffer’s girlfriend Izabela Roza Lechowicz, who was a fellow pilot. Ms Lechowicz, who moved to the UK from Poland in 1997, and Mr Swaffer lived together in Camberley, Surrey. 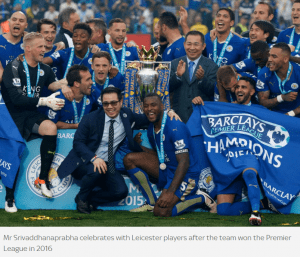 The club said the 60-year-old tycoon, who bought it for £39m in 2010 and led it to a first Premier League title in 2015-16, was a “great man”. It said: “The primary thoughts of everyone at the club are with the Srivaddhanaprabha family and the families of all those on-board at this time of unspeakable loss. “The world has lost a great man. A man of kindness, of generosity and a man whose life was defined by the love he devoted to his family and those he so successfully led.